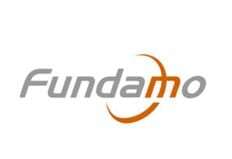 Fundamo was a forerunner in mobile financial services, but unknown to many in the international mobile or banking industries. And even fewer understood its value. Together, CCgroup and Fundamo had to boost short term sales across mobile and banking industries and maximise Fundamo’s long term value for future exit. With few obvious examples of mobile money success – plus concerns regarding the profitability of Vodafone’s M-PESA service – prospects and investors remained wary. We had to prove Fundamo had the technological expertise, the business experience and the vision to succeed. We had to promote the achievements and potential of the entire mobile money community. We had to become spokespeople for the industry. After developing strong messaging, we launched a series of highly successful programmes: joint media activity with customers; thought leadership campaigns for conferences, awards and influencer tours; and countering misinformed stories on behalf of the industry. For three years, Fundamo executives spoke at every major relevant conference. We achieved blanket business and trade media coverage, outgunning our competitors around the world. Industry analysts profiled us, addressing misconceptions about industry value based on Fundamo’s implementations. PR helped develop the immediate sales pipeline and shone a light on Fundamo’s visionary leadership, IP ownership and significant business achievements. In June 2011, Fundamo was acquired by Visa for US $110 million.